Our church sits on about four acres on the edge of town. We have created a memorial garden in the shade next to our church. Before entering the garden, one can traverse the labyrinth in quiet meditation. 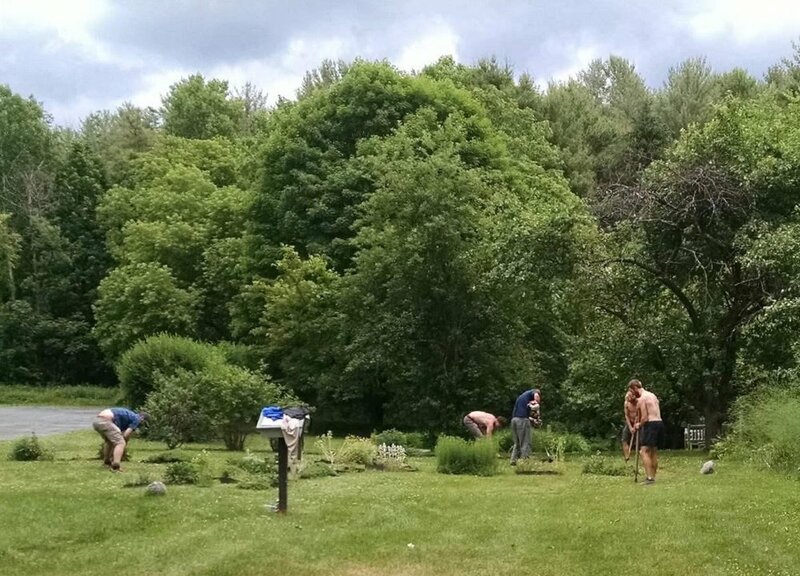 Here is a picture of volunteers who have come off the Appalachian Trail and spent a few hours restoring the lines of the labyrinth. We love our lawn behind the parish hall. One day we decided to take our potluck outdoors. Our solar panels provide the electricity for our church. And when it is too cold to sit outdoors, we just bring a little of the outdoor greenery inside. The picture shows the greening of the church done during the Christmas season.